Early childhood caries which is a public health problem is quite large in Indonesia. Therefore, it is necessary to take care of early childhood caries. The Propolis Fluoride is an option to inhibit email or dentinal caries activity. Objective. To determine the efficacy of propolis fluoride in inhibiting email or dentinal caries activity. Method. The respondents were 246 children aged 36-71 month were applied Propolis Fluoride on dental caries surface that has active email or dentinal caries. The respondents were divided into two groups, consists of 149 children were intervention group, they have been treated by propolis fluoride, toothbrushing program and they got a routine Dental Health Education. While, 97 children were as a control group have been treated by propolis fluoride, they had been given Dental Health Education only on the baseline. The evaluation and examination were conducted after 3 months to measure the percentage of arrested email and dentinal caries, and the correlation with plaque index. Result. After 3 months evaluation, the percentage of arrested dental caries for intervention and control groups were 62,44% and 46,18% respectively. There was a significant difference in mean plaque index and the number of active dental caries between two groups. There was a significant correlation between the plaque index and the percentage of arrested dental caries. There was a significant correlation between the behavior score and the percentage of arrested caries. Both correlation has negative and positive value respectively. Conclusion. The efficacy of Propolis fluoride in inhibiting dental caries activity. ISNAD DARWITA, Risqa Rina , AMALLIAH, Iwany , SOEKANTO, Sri Angky , SAHLAN, Muhamad . "The Efficacy of Propolis Fluoride in Inhibiting Dental Caries Activity on Primary Teeth". 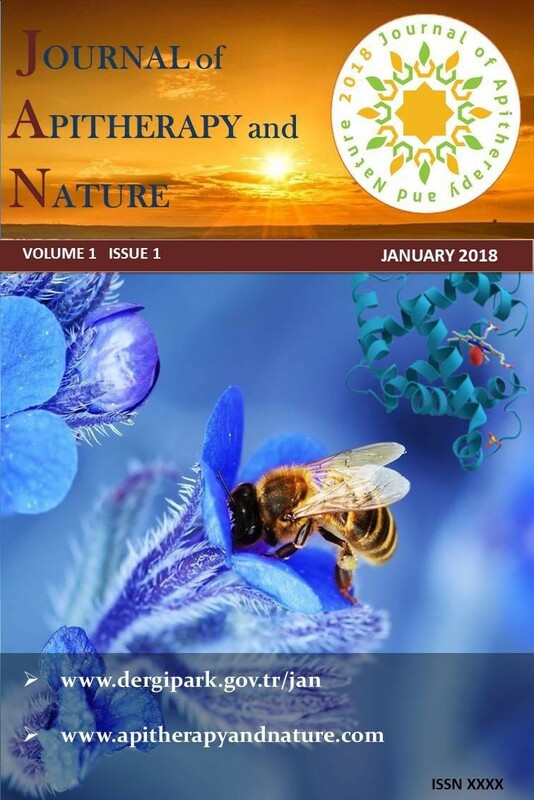 Journal of Apitherapy and Nature 1 / 3 (December 2018): 19-19.